They started out 0-3. It wasn’t looking good for the Houston Texans and my prediction of them making the playoffs seemed all but lost. Since then, they’ve now won five in a row and are in first place in the AFC South. 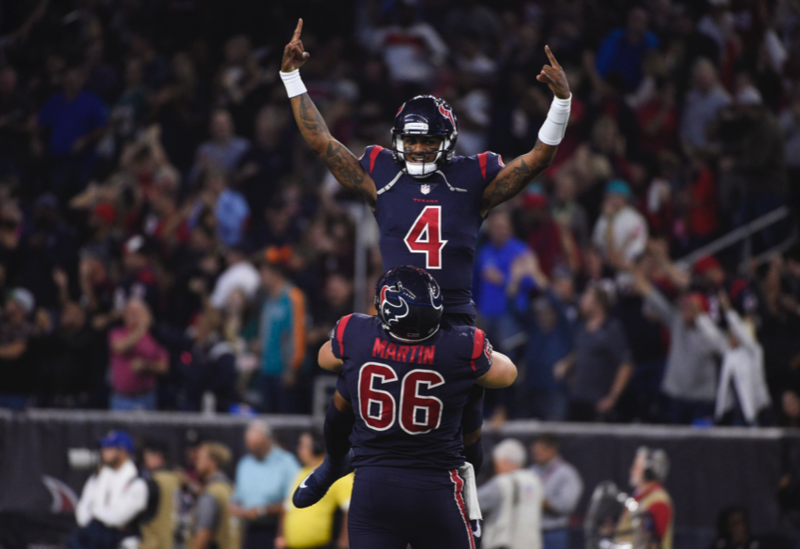 My main reason for having them in the playoffs is because of their quarterback Deshaun Watson. Just this past week he threw five touchdown passes and is starting to show all that big game potential from his days at Clemson. And the small sample size from last season before a torn ACL derailed him. Houston’s defense isn’t half bad either and Lamar Miller is pitching in on the ground as well. Oh and they acquired WR Demaryius Thomas from Denver before the trade deadline. 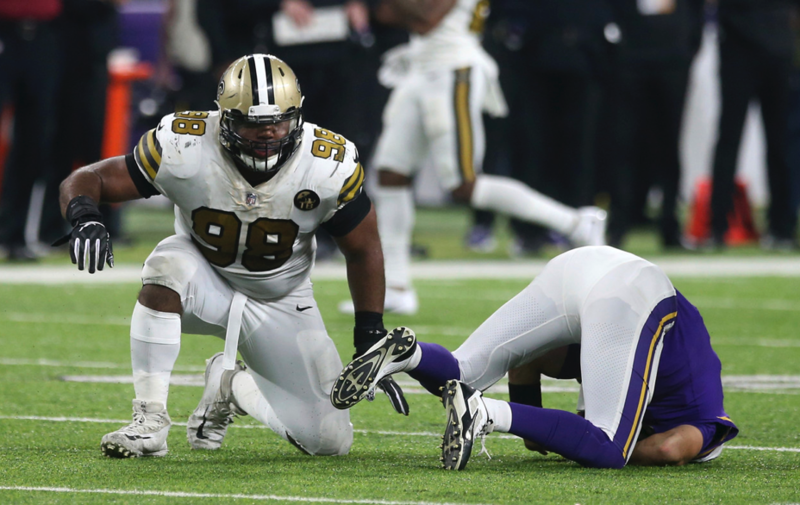 I found myself sitting down Sunday night with eager anticipation for the matchup between the New Orleans Saints and the Minnesota Vikings. Not really expecting an exact replica of the NFC Divisional round game last year from them, but a great game nonetheless. A high scoring affair if you will. Even the score doesn’t indicate it, the Saints defense was the star of the show. An Adam Thielen fumble and a Kirk Cousins pick six were the moments the Saints defense capitalized on. Drew Brees didn’t need to throw the ball 40 times. Only 23 pass attempts for him and 29 rushing attempts by the Saints. When was the last time they ran the ball more than they passed since having Brees? They’re now 6-1 and look to be a heavy favorite to get home field should they defeat the Rams this coming Sunday. For the record, I never jumped on the Browns hype wagon, but I did want them to succeed. I figured like with most regime changes in the front office it was only a matter of time before they let go of the current head coach. Sure enough, it happened right after the Browns defeat to the Pittsburgh Steelers. 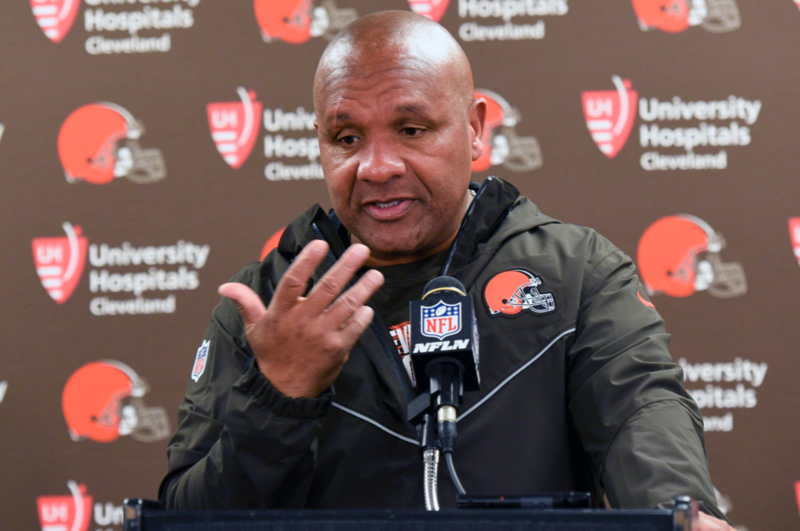 Long story short, Hue Jackson lost control of his operation and couldn’t’ get along with his offensive coordinator Todd Haley, who was also let go. Rather than prolong the situation, owner Jimmy Haslam fired another coach and is letting John Dorsey continue his purge of the power structure. Frankly I was surprised they still gave him a chance after the first two years, but looking at how those teams were put together, he had no say in those decisions. Hue is a solid coach, but being a head coach means you have to be at another level. He’s no where near that level, but someone will give him a shot to be on their staff in the near future. This entry was posted in Football and tagged Browns, Football, NFL, Saints, Texans, Weekly Review.